First, my sister; then, the 11-year-old girl I babysit; and finally, my mother-in-law: "the Hunger Games trilogy is a MUST read." Finally, I dove into the series, read all three books twice and back-to-back, and emerged on the other side an avid fan. I idolize Katniss, a survivor and admirable role-model, and I relish the powerfully subversive message of the text: unite against the Capitol, end the hunger. Book copies sold in the US: more than 26,000,000. At $10-20 per book, this makes a rough income of….nope, calculator broke. Merchandizing is in full swing with games, T-shirts, and collectibles. You can buy a mockingjay pin – the symbol of working-class solidarity and rebellion against elitism– for $15 from Amazon. But, book or film proceeds that have been or will be donated to hunger charities…? hmm. Instead, the Hunger Games has teamed up with the World Food Programme and Feeding America, to invite you to directly contribute $5 to their causes. In other words: none of the revenue gained by Lionsgate et al. from your purchase of the $45 trilogy, your $13.50 movie ticket or $6.75 popcorn, or your purchase of a $22 "Down With the Capitol!" t-shirt will be donated to hunger charities. However, rather than raising fists in solidarity against the hypocrisy, as profiled on Atlantic Wire, fans are instead flocking to Hunger Games dinner parties, following Hunger Games workouts and diets, and dressing up for the movie premiere like members of the Capitol, fake blood diamonds and all. 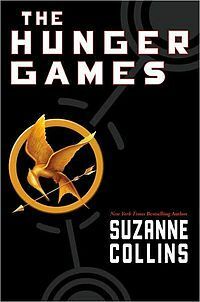 Where are the outraged fans of the deathly-serious Hunger Games message about poverty, health and food insecurity? Is it just me, or is this grossly ironic for a series – no, a movement – allegedly dedicated to fighting the injustice of poverty and inequality? 25,000 people receive food from the Food Bank every week in the Greater Vancouver area. Number of people hungry in the world: 925,000,000, or 1 in 7 people. Janis Joplin once sang that freedom’s just another word for nothing left to lose. As long as we hold onto hope that the system and those benefiting from it will somehow change on their own, we will not find the courage to make the changes ourselves. Pay tribute to the real Hunger Games message. Refuse to be lulled into complacency by the ‘bread and circuses’ – popcorn and movies – offered by Hollywood big business; they mock the cause with their greed. Boycott the movie, and give your money instead directly to a hunger charity. Come on, people: districts unite, fight the Capitol!